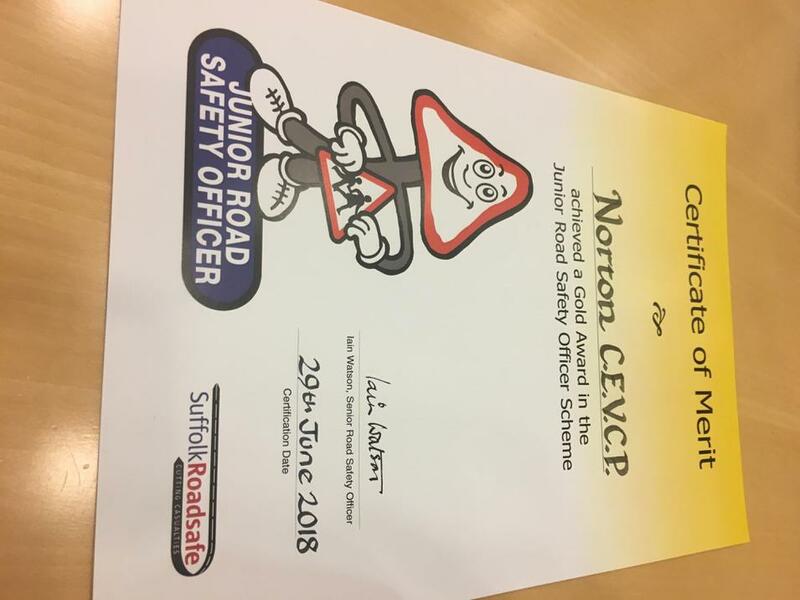 On Friday 29 June, Norton CEVC Primary School achieved a Gold Award in the Junior Road Safety Officer Scheme. 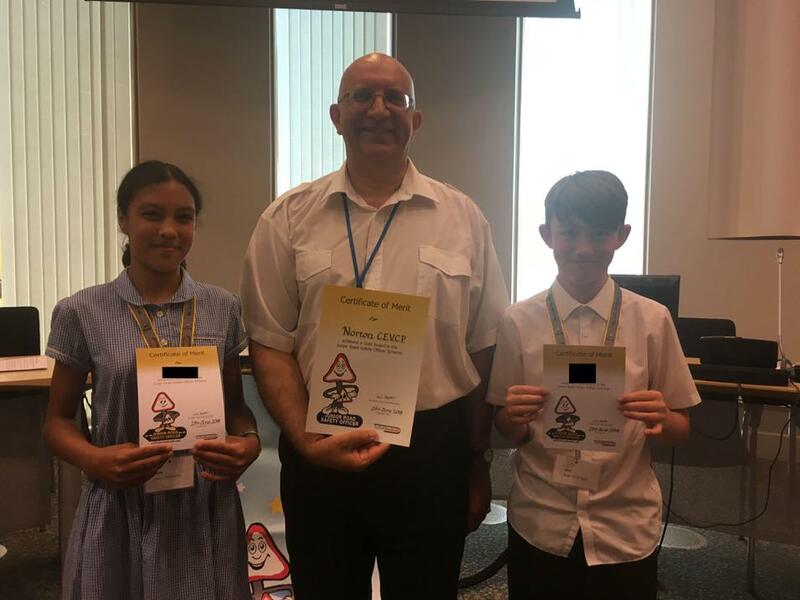 Two pupils from Norton have worked tirelessly to promote Road Safety this year by organising competitions and fund raising events. They also worked with the younger pupils teaching them the Green Cross Code. We are very proud of their achievements.